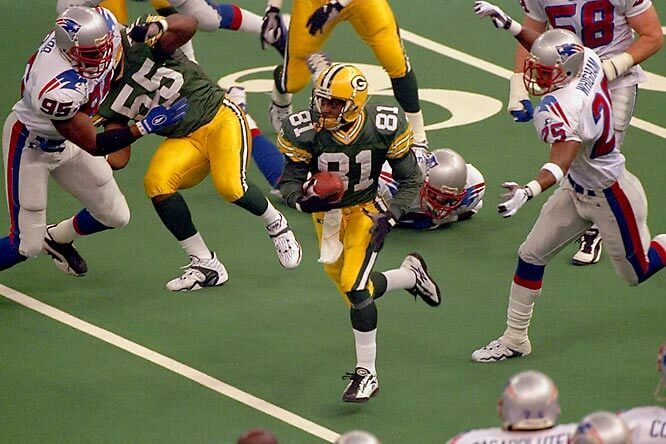 Super Bowl XXXI was an American football game between the American Football Conference (AFC) champion New England Patriots and the National Football Conference (NFC) champion Green Bay Packers to decide the National Football League (NFL) champion for the 1996 season. The Packers defeated the Patriots by the score of 35-21, earning their third overall Super Bowl victory, and their first since Super Bowl II. The Packers also extended their league record for the most overall NFL championships to 12. It was also the last in a run of 13 straight Super Bowl victories by the NFC over the AFC. The game was played on January 26, 1997 at the Louisiana Superdome in New Orleans, Louisiana.